The EUROGRADUATE Pilot Survey was launched with the intention to promote European graduate research. As the preceding feasibility study confirmed in 2016, there is a strong demand for a EU-wide graduate study. Aiming at high quality data and high comparability across the participating European countries, the project’s consortium set up the idea of a pilot survey to prepare and test-run a full roll-out in the future. Develop recommendations and proposals for the implementation of a full roll-out of a European graduate survey. EUROGRADUATE is co-funded by the Erasmus+ program of the European Union. The study is carried out by a consortium of six European research institutes with substantial expertise in policy analysis and surveys (see who we are). If you want to learn more about the handling of data protection, please have a look at the privacy statement. The Pilot survey covers graduates one and five years after graduation to monitor the short-term and the mid-term development of graduates. That means the target group are all graduates of the academic years 2012/13 and 2016/17 on ISCED-2011 levels 6 (Bachelor) and 7 (Master or long degree programs). ISCED 5 programs (short courses) are included, if they can be classified as higher education on national level. The precise sampling strategy is determined by the consortium in close collaboration with the country (taking the characteristics of the specific country into account) to strive for a minimum number of respondents providing reliable outcomes for different gender, age, socioeconomic background and broad field of study groups. The following key topics are investigated in the EUROGRADUATE pilot survey: Labor market relevance, skills, (international) mobility, democratic values and further studies. For further information on the topics, see the document EUROGRADUATE survey topics. The master questionnaires can be found here. The pilot survey is an online-survey. 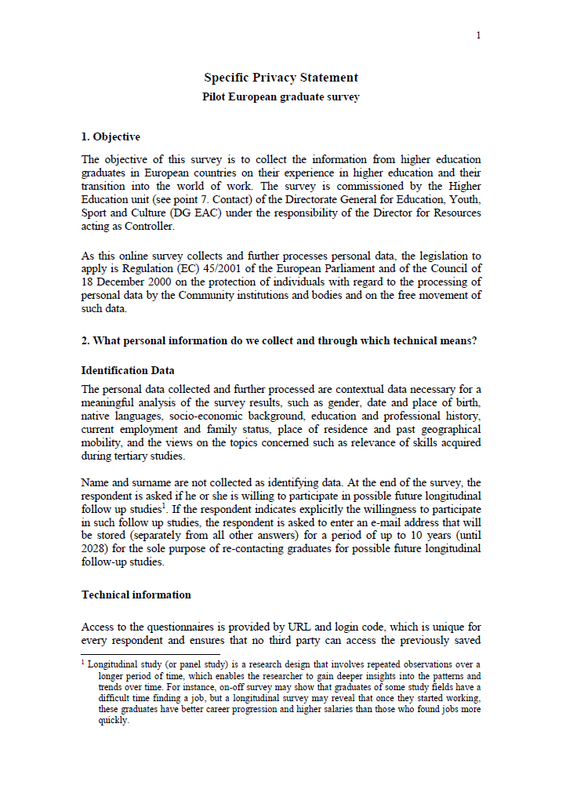 The consortium provides the central programming of the master questionnaire (including national adaptations) and will host the data collection centrally in the Netherlands. 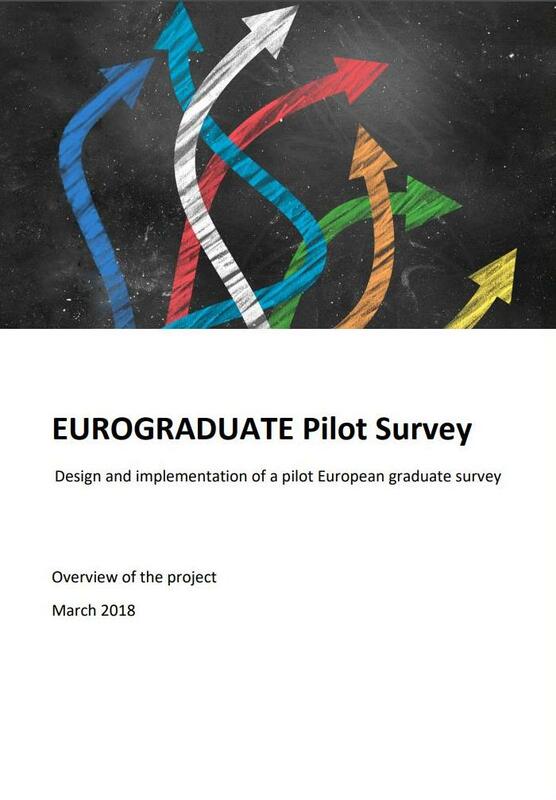 First results of the EUROGRADUATE pilot survey are to be expected at the end of 2019.